Well, you guessed it: here it is! 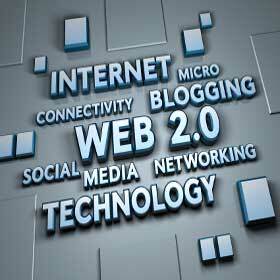 The rise of web 2.0 has transformed internet business as we once knew it. and how they marketed new products and services to them. Today, these strictures have been removed, permitting business owners to gather information, learn, and respond much faster than ever before. by creating a rift between those who know how to navigate web 2.0 sites and services; and those who do not. Those who don’t know how to use web 2.0 services may find themselves on the defensive constantly—doing anything to retain customers—even if they had a successful business model only years ago. Those who feel comfortable with web 2.0 may now find themselves at a significant advantage. Whether you’re currently using web 2.0 to promote your internet business or are thinking about doing so, it is important for you to understand how to do it correctly. No matter whether you’re inexperienced or a veteran social marketer, if you don’t have the right information, it can be easy to botch a marketing campaign or simply run out of ideas. Fortunately for you, this blog post series was designed for people in your exact position: those who know that web 2.0 is an important part of doing business today; and who want to learn how to use it correctly. to manage existing customers and extract information from them. They are stand-alone tips. You can do them step by step from start to finish, or you can just do a few of them.